Info: Created on 20th January 2013 . Last edited on 4th February 2013. Congratulations! FontStruct Staff have deemed your FontStruction worthy of special mention. “Candyfloss” is now a Top Pick. Thanks winty5, Umbreon126 and meek! Wow! This is really an eye popper! please let me clone it i want to see the new blocks you used! Where is the question mark? Where is the exclamation point?! I cant ask, I cant yell either. Whats the problem?! and how can pause in middle of sentences without commas? 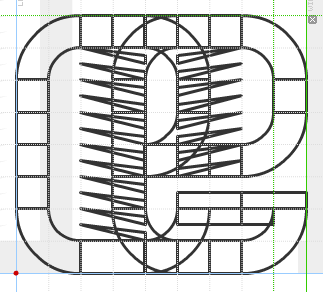 fontstruct, how can you deem this a top pick, seriously?! I do have to admit that it looks nice, though. @AUserThatWorks: Let me know what it is exactly that you are planning to do with the font and I'll see what I can do for you. @Marbleboy: The shadow is achieved by a composite of four new shard bricks, which are half overlapped by the outline of the letter in 2x2-filtermode (see above). @omium: As soon as I can find some time, I will extend the character set. The question mark, the exclamation mark and the comma will be the first to be addressed!